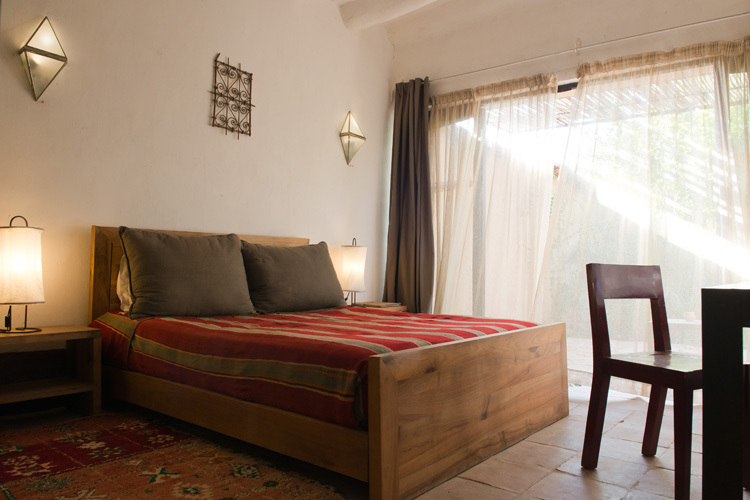 This air-conditioned bungalow-type room is located on the ground floor by the citrus orchard. 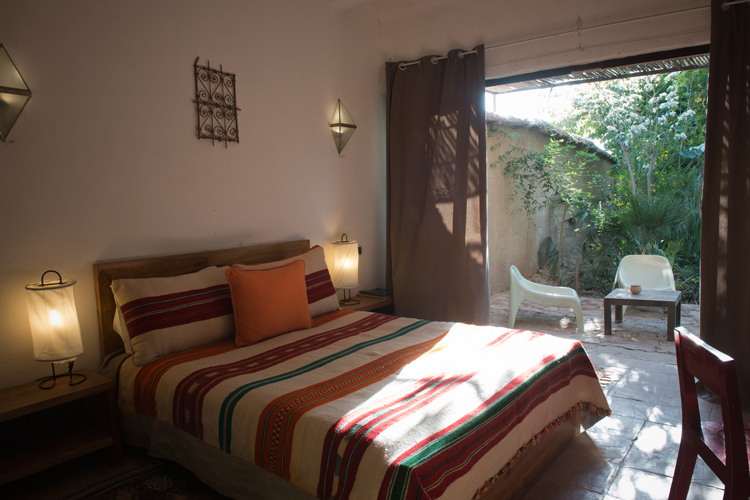 It has a double bed and a sofa bed in the living room, desk and table. 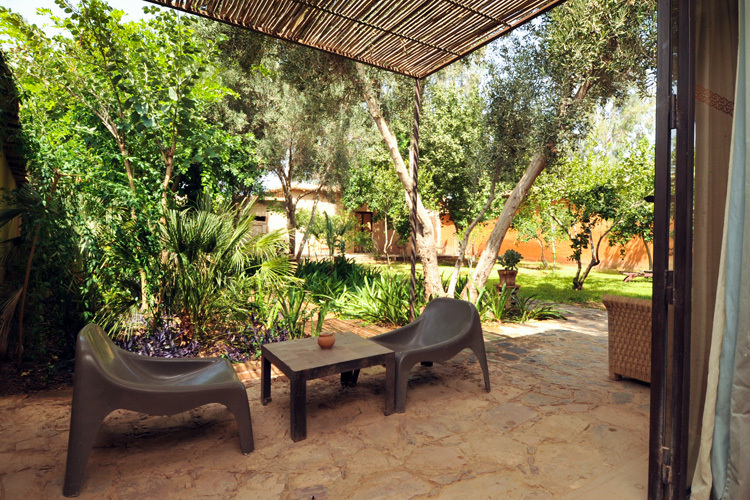 This junior suite has a terrace with a dining table on the entrance side and a terrace with a table and chairs on the garden side. 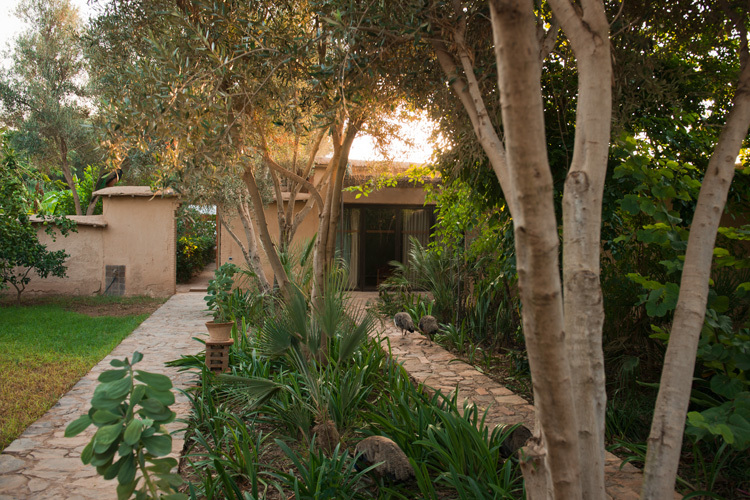 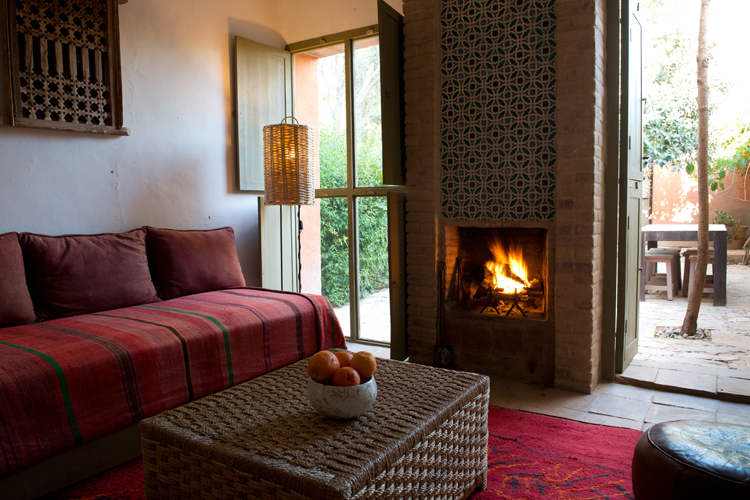 It is decorated with traditional rugs, Boucharouet cushions and antique wrought-iron Berber windows.